Gumleigh Gardens Hostel is designed to achieve the very best in assisted aged care living. Opened in 2015, the hostel features 15 dementia specific rooms and 29 aged care rooms. An architecturally designed facility, the hostel features courtyard gardens, water features and lovely walkways. The interior is furnished with modern design furnishings and fittings and there are both shared and intimate lounges. Featuring big screen televisions, library facilities, an on-site chapel with weekly services, the addition of the hostel to the Gumleigh Gardens Village means that those who may require assisted care services can remain close and stay in touch with the community they have grown close to. Refundable Accommodation Deposit (RAD): – this is commonly referred to as the “bond” and is determined by Centrelink and based on the assessment of your income and assets. The full RAD for Gumleigh Gardens Hostel is $400,000. 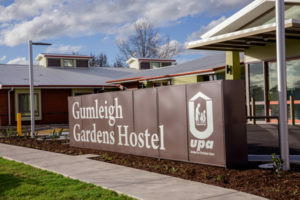 Gumleigh Gardens Aged Care Hostel is part of the Riverina Murray Region of the United Protestant Association of New South Wales. 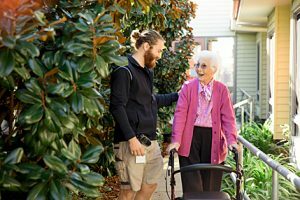 A not-for-profit provider of aged care services, operating five retirement villages, six residential aged care facilities and providing aged care support services across southern New South Wales and the border.